Sometimes a family is not comfortable with the complexities of a relationship with a child’s birth family. These families often opt for a closed adoption or an international adoption. However, as these types of adoptions are becoming more rare, they are looking towards surrogacy arrangements. 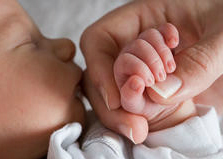 There are two types of surrogacy agreements: traditional and gestational. In a traditional surrogacy, a woman agrees to carry a child for you while also allowing her eggs to be used for purposes of creating that child. This type of surrogacy is extremely risky, as the surrogate must agree, after birth, to the placement of the child and the termination of her parental rights, much like in domestic adoption. There have been cases of surrogates deciding to parent what is half their biological child and the “other parents” having to share custody and even pay child support with the woman they hired as their surrogate. We do not involve ourselves in this type of surrogacy and suggest you don’t either; no matter how well you think you know the surrogate, the chances of heartbreak are high. In gestational surrogacy, there is no biological tie to the surrogate. The surrogate is the womb that carries a child for you and your spouse. She cannot change her mind after birth and decide to parent the child, and — unlike in adoption — you can contractually make certain requirements of the surrogate, like no smoking, regular prenatal visits, drug screens, etc. You can also carefully select a surrogate whose beliefs and lifestyles match your own. Both gestational and traditional surrogates are compensated for their time, much like you are compensated for your employment. However, because gestational surrogacy involves more complex medical procedures to achieve pregnancy, it is more expensive. The cost of surrogacy is currently between $50,000 and $60,000, but it is dropping. We hope to see the cost go down to $40,000 or less over the next few years, which would rival the cost of a domestic adoption. Surrogacy is only allowed in some states. Creating Christian Families will help you identify which states will allow safe surrogacy arrangements for your family, help you identify a medical clinic and help you select a surrogate who meets your wishes.